This is the second book in the series and deals with another couple, but we have met the main characters in the previous book. It would read okay as a standalone, but the nuance is better as a follow on. Overall this is an enjoyable read, and I was happy to reconnect with Allie et al. I found the men (as last time) to be slightly unrealistic in their level and topics of conversation with each other – and their issues... it didn't seem like they would be so careless as to let that happen. Thankfully, Darius didn't come over as the ultimate dominant, he had far too much humanity – even if his reasons were flawed. And the story makes clear how his control fails him with Taylor, which is fun to watch. Taylor is a curious mix of independent and naive – and her idealisation of her parents is a strange trait in my opinion. But it mostly works in the context of the story. Certainly there were plenty of cameos which enabled the author to build a picture of how she felt and behaved with others, now she is back in Darius's orbit. If we get another installment it will be good to see how this relationship moves forward, for both of them. 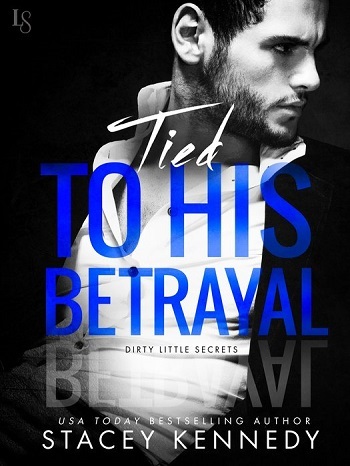 Reviewers on the Wicked Reads Review Team were provided a free copy of Tied to His Betrayal (Dirty Little Secrets #2) by Stacey Kennedy to read and review.